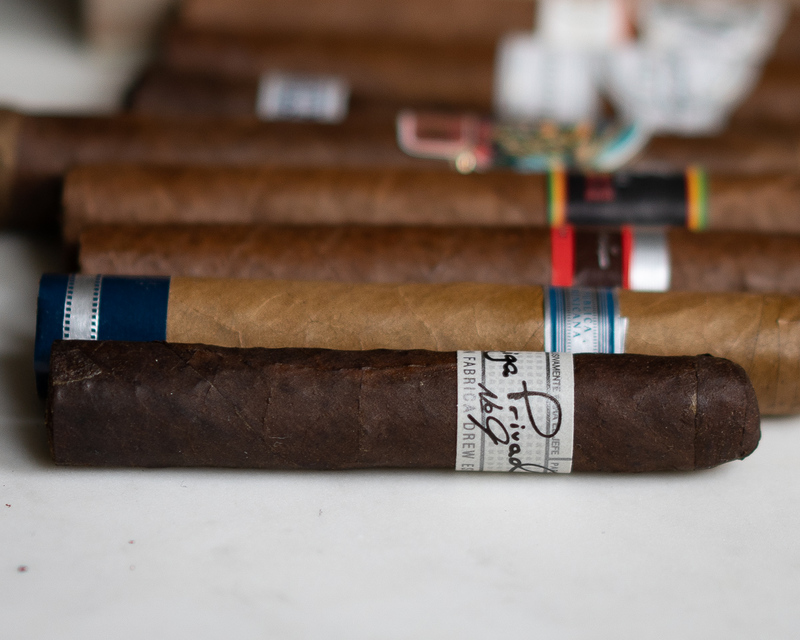 When the Liga Privada No.9 debuted from Drew Estate in 2007 featuring a “Stalk Cut” Connecticut Habano wrapper, it became an instant hit. Customers enjoyed the wrapper’s profile as well as the overall fuller blend. In a quest to outdo themselves with an even fuller-flavored smoke, the Liga Privada T52 was born. Utilizing the Stalk Cut Connecticut Habano wrapper once again and adding more ligero to the blend, they achieved another success. I’ve smoked the No.9’s in pre-release and official release straight from Jonathan, along with the T52’s. I was fortunate enough to check out the petit corona which is one of the new sizes released. Enjoy! 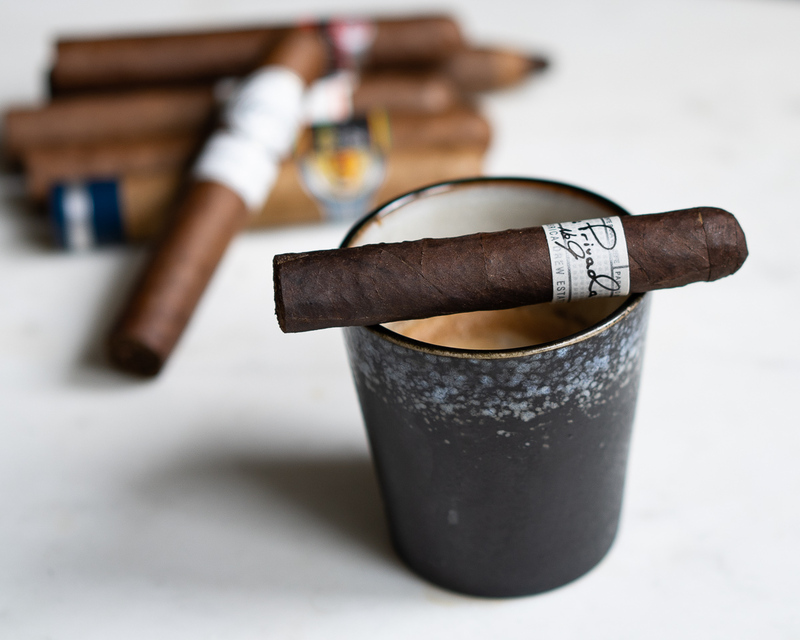 The Liga Privada T52 Petit Corona is dark and rustic looking with a mottled wrapper and significant veins along the sides. The cigar is hard and full of tobacco with the exception of a softer spot at the foot. Drew Estate—always with an eye for style—has the T52 with the similar eye-catching white band like the No.9. The scripted “Liga Privada T52” around it makes it look like a top secret experimental blend. “Understated” and “Cool” is what comes to mind when I see it on a shelf. After cutting the cigar, the cold draw provides a sugary sweetness with wood, earth and forest floor. With a straight cut and using my Lamborghini torch lighter, I light the T52 up. It starts off gritty, transitioning quickly to vanilla and a charry finish. Notes of hickory emerge, with leather surrounding the palate. The draw is full and delivers a lot of smoke as I puff away. The leather continues with an underlying earth along with cinnamon spices. Thus far the T52 stands in the medium to full bodied range. As the cigar develops, the ash becomes white and solid. The craftsmanship is quite good, with a perfect amount of tobacco within. The progression of earth and leather during the first half transforms into heavy cream with a chalky finish. On the retrohale, cashew and white pepper take over with an underlying sweetness in the mouthfeel. The burn is razor sharp and smoke billows heavily from the T52. Moving through the final third of the Liga Privada T52 Petit Corona, I get a lot of dirt and grit in an overwhelming fashion. Flashes of mint give a unique if less than harmonious flavor profile. Then, some sweetness returns with vanilla bean and leather. At this point the T52 becomes a mashup of dirt, leather and nuts. The final puffs of the Liga leave me with a bit of oak and a short finish. I haven’t smoked a Liga T52 Privada in quite a while and returning to it was hoping for a bit more in the profile to keep me interested, especially in a size I enjoy smoking. I will say the cigar is expertly rolled and crafted in every sense and the burn and draw perfect. 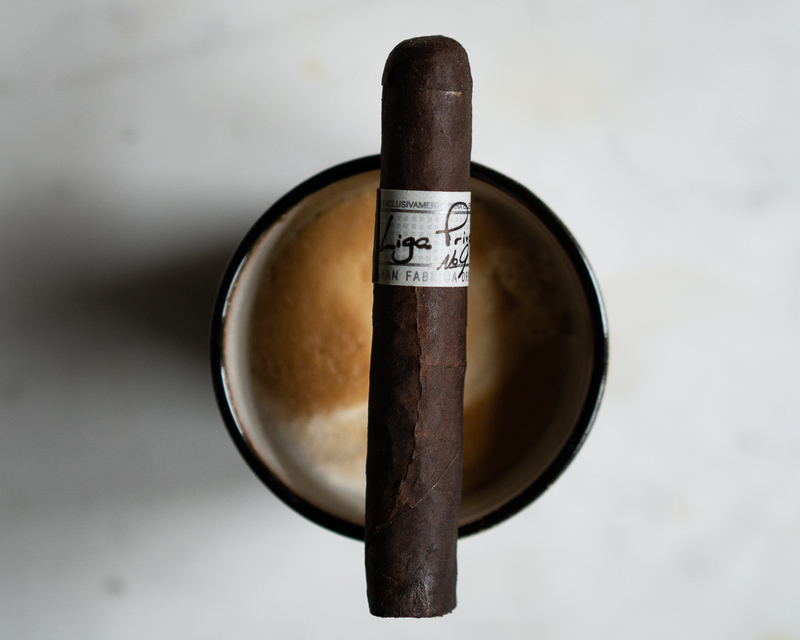 The Liga Privada line has never done it for me as it seems to lack the full body it claims and although the blend has some complexity, it doesn’t seem to always compliment the flavors it produces. Like I’ve said, I’ve smoked many of these cigars and although they have always been consistent in terms of quality it never really hits the level of flavor I enjoy. I’m probably in the minority as these sell very well whether it’s due to marketing which they do an outstanding job of or perhaps the style is in fashion for many. I will say if you haven’t had Liga T52 or you enjoy the N0.9’s then give this cigar a go. Your reviews are consistent with my feelings about all of the sticks you review. I try them all. Been smoking havanas and others since mid 1990s. You guys are honest and display refined palates. Keep it up.